Overview… a high school student who really loves orange soda, so much that he frequently can be heard saying/singing his catchphrase, “Who loves orange soda? 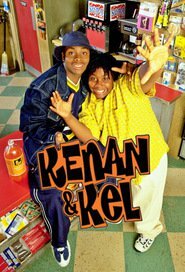 Kel loves orange soda! Is it true? Mm-hmmmm! I do, I do, I do-ooooo!” He finds pleasure in the simple things in life, but is actually a lot smarter than people give him credit for. But, he’s usually too busy tagging along on his best friend Kenan’s schemes for people to notice his smarts. Personality… clumsy, seemingly dim-witted, and easygoing. Kel follows where Kenan leads, usually a bit cautious of the trouble he knows they’ll inevitably make. Kel lacks common sense, which overshadows his intelligence. His intelligence doesn’t keep him from accidentally messing up Kenan’s plans, as he usually does. But, Kel is loyal and good-spirited no matter what. Kel Kimble's popularity ranking on CharacTour is #2976 out of 5,000+ characters. See our top-ranked characters and read their profiles.